The D.C. restaurant scene was abuzz this past week with the long-awaited reveal of which restaurants would receive stars from Michelin, the French tire company that, for over a century, has also published various travel guides. When people talk about restaurants' Michelin stars, their referring to the ratings in the red guides--Michelin publications that review the restaurants in a particular major city. With the addition of the Washington, D.C. guide last week, Michelin has four guides to U.S. cities, which also include Chicago, New York and San Francisco (previously published guides to Las Vegas and Los Angeles are no longer updated). That Michelin would consider a guide to Washington, D.C. at all raised a few eyebrows: "Washington, D.C. isn’t typically regarded as a destination for fine dining," begins the CBS news story about the D.C. guide. "No knock on D.C., but it gets into current Michelin Guide while L.A. doesn't? As 4th U.S. city in guide? Nuts," tweeted former New York Times restaurant critic Frank Bruni. Some speculated that the guide was, in part, a ploy to improve Michelin's image among American lawmakers and regulators--keeping in mind the aforementioned fact that selling tires is Michelin's main business, which is potentially affected by transportation law and regulation. Michelin confirmed as much in an interview with Washingtonian. Yet the article also pointed out that "excitement, evolution, and innovation in the culinary scene" are the first and most important factors in selecting a city for a guide. Certainly Michelin is not alone in recognizing D.C.'s emergent status as a culinary destination. Bon Appétit named Washington its "Restaurant City of the Year" for 2016. D.C. restaurants consistently get nominated for and win James Beard Foundation awards, such as this year's Mid-Atlantic chef award for Aaron Silverman of Rose's Luxury. Those, like me, who have lived in the city for some time and paid attention to its restaurant scene have watched that scene explode in recent years in very exciting ways. When I first came to D.C. in 1999, the restaurant scene was a lot different. Most of the "fancy" restaurants downtown consisted of steak and seafood places situated to take advantage of lobbyist expense accounts. Neighborhoods like Georgetown, Dupont Circle and Capitol Hill had a few worthy spots, but finding a good meal in places like Logan Circle, Shaw or H Street NE would have been a real challenge back then. Even parts of downtown, like Penn Quarter, weren't fully developed into the kind of restaurant destination zones they are now. Downtown D.C. is vibrant place on weekends now; 15 years ago, it was a struggle to find a decent place to have lunch on Saturday, as there simply weren't many choices that were open. We mostly ate in Dupont Circle or Adams Morgan on the weekend, and hardly ever ventured east of 17th Street--there just weren't many reasons to do so. Today the story is very different, with neighborhoods all over the city sporting significant restaurant openings every week. The last few years, D.C. restaurant openings have proceeded at a pace that's impossible to keep up with, as areas like 14th Street, Shaw, Bloomingdale, H Street, Petworth and Navy Yard have transformed into major food destinations. Once the Waterfront development is completed soon, expect another boom of new restaurants there. So, if you've been paying attention, the Michelin Guide for D.C. isn't that surprising at all. Neither is the fact that most of the restaurants picked for stars in the inaugural guide are fairly new. Below, I profile those restaurants, including links to local reviews (including my own for the four 1-star restaurants I've visited). Want to know more about how the reviews work? Washington Post has you covered. Want to see all the restaurants mapped? DC Eater has that very useful post here. There were also some snubs of restaurants that many expected to get stars. Rasika is surely top of that list. Washington Post's Tom Sietsema identifies that and others. Some were also surprised that no D.C. restaurants received 3 stars--Michelin's highest grade--although I suspect that perhaps next year one or more of the 2-star-rated restaurants may move up once the inspectors are able to better judge consistency. On to the restaurants! Notes: Many were surprised to see The Inn at Little Washington on the Michelin list, since the guide had stated it would only rate restaurants within the D.C. city limits. However, a special exception was made for The Inn. When you consider how important it is the area's dining scene, it makes complete sense. The Inn at Little Washington has long been considered a top food destination for the area, a place of elegance and--since it's 90 minutes away--a good excuse to get out of the city and make a weekend of it. Says Washingtonian Magazine: "Turning the big 4-0? Celebrating an anniversary? There are few more over-the-top occasion markers in the country than Patrick O’Connell’s baroque Rappahannock County getaway. The grande-dame decor, with its mauve silk lampshades and tapestries, isn’t for every taste, but the place somehow doesn’t feel stuffy. Credit O’Connell’s seamless fusion of folksy and fancy." Notes: As much a magic show as a dinner, Minibar has been described as a dining experience unlike any other, delivering D.C.'s most innovative tastes. It's also very expensive: the chef's counter starts at $275 per person; the "private dining" experience starts at $565. Regardless, chef and owner José Andrés is one of the great--perhaps greatest--chefs from D.C., helping to put D.C. on the food map with restaurants like Jaleo and Zaytinya (which made the Bib Gourmand list below). Says Washington Post restaurant critic Tom Sietsema: "No two deliveries are ever the same at Minibar, the intimate restaurant from José Andrés that adds up to a comedy show, a science demonstration and one of the most original dinners staged in this country. Over the course of a few hours, everything you think you know about food is likely to be challenged." Notes: No D.C. restaurant opened in the last 5 years has made a bigger splash than Rose's Luxury (see below). So expectations were high for Rose's chef Aaron Silverman's second course. More upscale than Rose's, Pineapple and Pearls offers a creative multi-course tasting menu. Like Rose's, it has earned many accolades (including 4 stars from the Washington Post). Unlike Rose's, it takes reservations--in fact, they are basically required. Says D.C. blogger Been There, Eaten That: "While we’ve dined at similarly priced restaurants that infuse wizardry into their presentation, the approach here is more subtle and playful, while still captivating." Notes: Blue Duck Tavern is a wonderful example of how a hotel restaurant can be so much more than that. Although it's been around for 10 years, it really started to heat up in 2011 under its former chef, Chef Sebastien Archambault. My take: "The setting fits the food perfectly. Low, warm lights, large glass windows, lots of natural wood and some old-fashioned wall quilts speak to the rustic but upscale American cooking coming from the kitchen." Notes: Shaw's red-hot restaurant scene doesn't get hotter than this. Quite literally actually, since chef Langhorne cooks all of the restaurant's food on a giant open-pit fire, making for a wonderful visual and absolutely delicious flame-kissed cooking. My take: "If you're still apprehensive about wandering down an urban alley to find dinner, keep in mind that Diagon Alley is where you go to find all the best magic shops in the Harry Potter world. And in Blagden Alley, you'll find The Dabney brings a touch of magic to the real world." Notes: D.C. has no shortage of good Italian restaurants, but this handsome Penn Quarter destination is perhaps its finest. Since opening Fiola in 2011, chef Fabio Trabocchi has successfully expanded with Casa Luca and Fiola Mare, with a fourth restaurant, Sfoglina (in my neighborhood!!!!) coming soon. 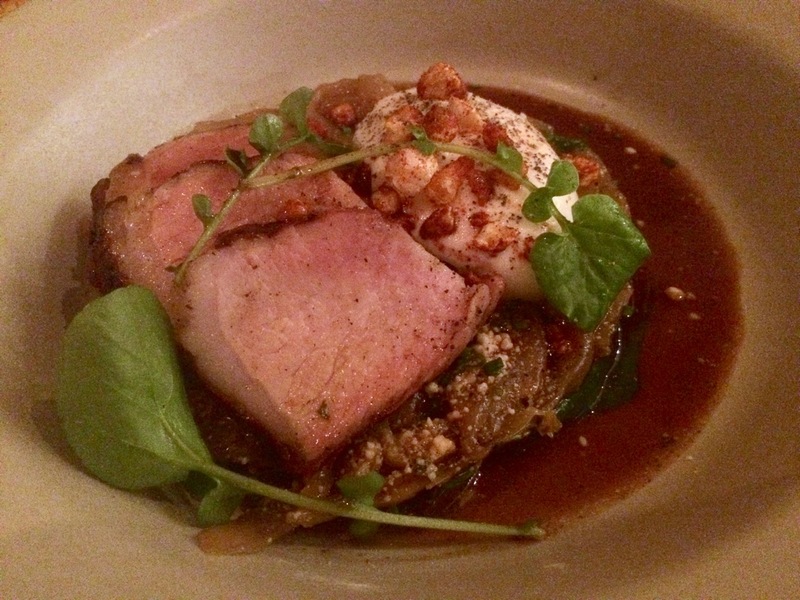 My take: "Our recent dinner there was exceptional, marked by both good food and good service." Notes: When Chef Eric Ziebold left 4-star CityZen in the Mandarin Hotel in 2014, the restaurant owners closed it instead of finding a new chef. A year later, Ziebold returned to the D.C. restaurant scene with Kinship, his new concept which, along with its sister-restaurant tasting-menu focused Metier, has already proven as popular and acclaimed as his previous establishment. Says Tom Sietsema: "Kinship’s menu, divided into categories including “craft” and “history,” requires some concentration, but the payoff includes custardy veal sweetbreads served with designer ham and truffles, and a mushroom torchon accessorized with toasted brioche and a tangy celery root salad." Notes: Chef Nicholas Stefanelli has been an up-and-comer in the D.C. food scene for some time, cooking at noted area Italian restaurants such as Galileo, Maestro and Bibiana (he even did a stint at The French Laundry). 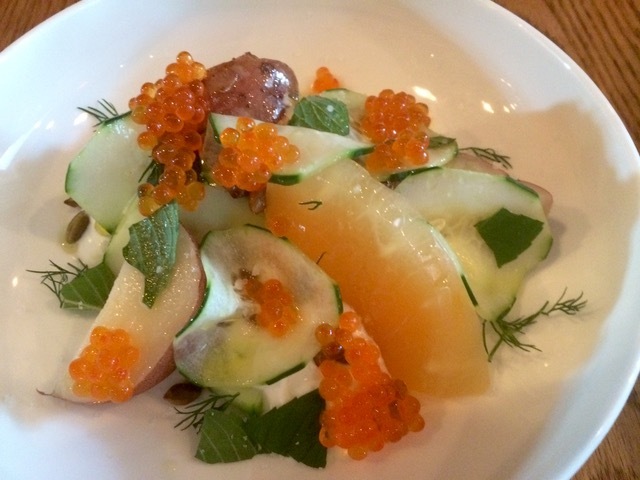 With Masseria, he steps out as a chef/owner and his earning his most promising accolades yet. Says D.C. blogger What Mickey Eats: "The inspired tasting-menus are rooted in the flavors of Chef Nick's Italian heritage and showcase the organic, exploratory sensibility of the country’s cuisine emerging from its daily markets and seasonality of ingredients. Each course was a virtual trip to the pretty seaside of Puglia." Notes: Plume's inclusion among the Michelin-starred restaurants was a bit of a surprise, as it hasn't had quite the profile of the other choices. But it's food accolades are solid. Says D.C. blogger Girl Meets Food about the restaurant's Lobster Fumidor: "And while Plume at the Jefferson Hotel is every bit as fancy as Babette’s Supper Club, nobody gets hurt here. Except the lobster." Notes: Since opening 3 years ago, Rose's Luxury has become D.C.'s most talked-about restaurant, notable as much for its mouth-watering food as it is for its blocks-long line (annoyingly, it refuses to offer reservations except for very large parties). Says D.C. blog In a D.C. Minute: "The menu at Rose’s Luxury is fit for the wealthiest DC lobbyist in the finest suit, yet the waiting line is filled with rolled up sleeves and women wearing comfy flats." Notes: Like Plume, Sushi Taro has a comparatively low profile, although I understand it is well-respected among those who love sushi. Says D.C. blogger Capital Spice: "The fish was among the freshest I had tasted at that point, which helped me branch out beyond my comfort zone and try some new items like uni (sea urchin) and hokkigai (surf clam)." Notes: After Pineapple and Pearls, Tail Up Goat is the second-newest D.C. restaurant to earn a Michelin star--more than half the 12 restaurants earning stars have been open 5 years or less. In that time, it's already become one of the best reasons to check out an increasingly revitalized Adams-Morgan. 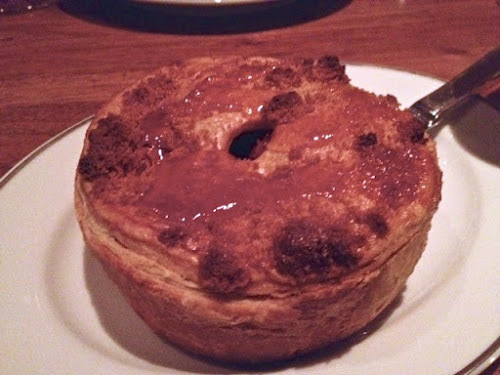 My take: "I expected the food at Tail Up Goat to be good, but I was pleasantly surprised by the caliber of its service. Everyone was friendly, including a manager who came by and thanked us for coming. And their excitement about the restaurant seemed genuine." In addition to the starred-restaurants, Michelin also provided a list of "Bib Gourmand" restaurants, other recommended establishments at a lower price point. Those that I've visited are linked to my reviews (which, coincidentally, are the four restaurants under José Andrés' umbrella).